If you have a well-founded fear of persecution in your country based on your LGBT status, you may be eligible to apply for asylum in the U.S. You can only apply for asylum after you are already in the U.S. Generally you should apply for asylum based on your LGBT status within one year after arriving in the US, although there are various exceptions to this rule. LGBT community is one of the particular social groups whose members are eligible to apply for asylum in the U.S. Members of LGBT community can apply for asylum by submitting the Form (1-589) or they during a hearing before an Immigration judge if you are already in removal proceedings. To be eligible for LGBT asylum you must show proof of well-founded fear of persecution in your country due to your sexual orientation. It is not required that you have an eye witness or personal evidence from home, although if you do have this information it would strengthen your case for asylum approval. If your asylum application has been pending for more than 150 days, you may be eligible to apply for a work permit (I-765). After your asylum application is approved, you can sponsor your spouse and/or children. You will be eligible to apply for a Green Card one year after you are granted asylum status. 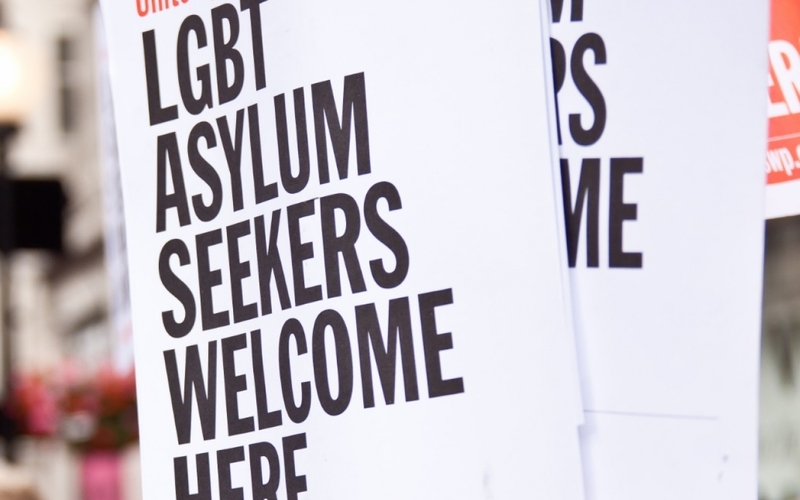 LGBT Asylum cases are complicated and require an experienced immigration attorney to increase the chances of approval.